We Speak English, On Parle Français, Se Fala Português, Hablamos Español. 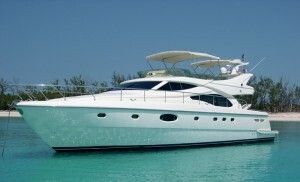 Contact Miami Boat Rent if you want to visit the Florida Keys by Boat. We will make this happen! Some facts about the Florida Keys: The Florida Keys are a coral archipelago in southeast United States. They begin at the southeastern tip of the Florida peninsula, about 15 miles (24 km) south of Miami, and extend in a gentle arc south-southwest and then westward to Key West, the westernmost of the inhabited islands, and on to the uninhabited Dry Tortugas. The islands lie along the Florida Straits, dividing the Atlantic Ocean to the east from the Gulf of Mexico to the west, and defining one edge of Florida Bay. At the nearest point, the southern tip of Key West is just 90 miles (140 km) from Cuba. The Florida Keys are between about 23.5 and 25.5 degrees North latitude, in the subtropics. The climate of the Keys is defined as subtropical according to Köppen climate classification. More than 95 percent of the land area lies in Monroe County, but a small portion extends northeast into Miami-Dade County, such as Totten Key. The total land area is 137.3 square miles (356 km2). As of the 2000 census the population was 79,535, with an average density of 579.27 per square mile (223.66 /km2), although much of the population is concentrated in a few areas of much higher density, such as the city of Key West, which has 32% of the entire population of the Keys. Contact Miami Boat Rent to plan your next Florida boat adventure!